Walter Ruesch, the son of Ernest Sr. and Margaret (Buss) Ruesch, was born on June 19, 1920 on the family farm in Nobles Co., MN. Walter was baptized and confirmed at the Immanuel Lutheran Church in rural Fulda. He attended and graduated from 8th grade in Seward Township, District 37 Country School. Growing up Walter did a lot of carpentry work on his family’s farms and helped with farm work. In February of 1942 he was drafted into the U.S. Army, spending 18 months at Ft. Brady in Michigan. 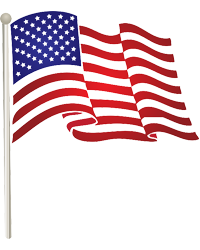 Then he was sent to England and France as part of S.H.A.E.F, guarding Gen. Eisenhower, during WWII. After leave, he was to train to serve in the Pacific Theatre, but the war ended. When he returned, Martin helped him start farming. Later, he and Clarence helped one another. Walter was united in marriage to Minnie Deuschle on November 26, 1954 at the Immanuel Lutheran Church in rural Fulda. After their marriage they lived and farmed their whole life on the Ruesch family farm southwest of Fulda. His love of the farm was evident by his care and interest, even now. Walter entered the Maple Lawn Nursing Home in Fulda in January of 2016. Minnie passed away in October of 2017. Walter passed away at the Maple Lawn Nursing Home on Friday, November 9, 2018 at the age of 98. 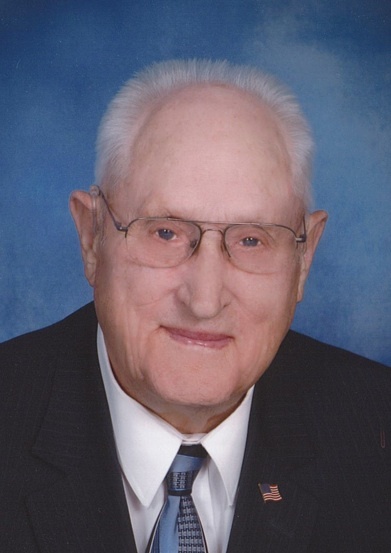 He was a lifetime member of Immanuel Lutheran Church in rural Fulda, where he had served as a trustee and deacon. Walter also served on the Seward Township board for over 37 years. He belonged to the Fulda VFW Post 9017 and American Legion Post 318. Walter enjoyed fishing, playing cards, shooting pool, especially Golf Pool and traveling. Survivors include 2 children, Cheryl (Ronald) Janssen of Fulda, MN and Lyle (Laura) Ruesch of Sioux Falls, SD; 6 grandchildren, Chris (Summer) Janssen, Eric (Hannah) Janssen, Melissa Viste, Matthew Ruesch and Aaron and Christopher (LaTerra) Stanga; 9 great-grandchildren; many nieces, nephews, other relatives and friends. He is preceded in death by his parents, 4 brothers, Ernest Jr., Robert, Clarence and Martin Ruesch, 2 sisters, Tracy Goedtke and Alma Miller and infant great-granddaughter, Rhylee. Immanuel Lutheran Church rural Fulda, MN at 10:30 AM on Tuesday, November 13, 2018 with Rev. Karla Kirkeby officiating. The organist is Michelle Wieneke. The soloist is Linda Lund The pallbearers are Chris Janssen, Eric Janssen, Melissa Viste, Matthew Ruesch, Aaron Stanga, Rodney Ruesch and Alan Ruesch. Honorary pallbearer Christopher Stanga. Interment at the Immanuel Lutheran Cemetery rural Fulda, MN. Military honors provided by the Fulda VFW Post 9017 and American Legion 318.